Finding a good straight razor can be really tough, especially if you’ve never shaved with one before. If you’ve been on your wet shaving journey, like I have, you probably started with one of those horrid, mass-produced Gillette numbers and moved to a safety razor after you ditched your favorite beard trimmer and realized just how awesome they can be. For many guys, a straight razor is the natural next step in the journey – the unicorn, the pot at the end of the rainbow. And it’s scary, right? The first time I used straight razor, it felt more like a weapon than a daily grooming tool. I honestly can’t pick up a straight razor without thinking of Sweeney Todd. Still, there’s a certain mystique to straight razors. And they definitely have a way of making you feel like a straight up lumberjack. So, I wanted to share a bit of knowledge with you guys today. I wanted to talk about some of the best straight razor brands, so you have a good starting point when you go out to buy one. I feel like finding a brand you like is sometimes more important than finding a single product. It’s like music – sometimes you find an artist you like, and you can trust that they’ll put out songs that jive with your tastes. For example, I don’t even listen to Justin Bieber albums before I buy them; I just know I’m going to love them. Kidding, kidding; don’t email me about Justin Bieber. But you get the idea. 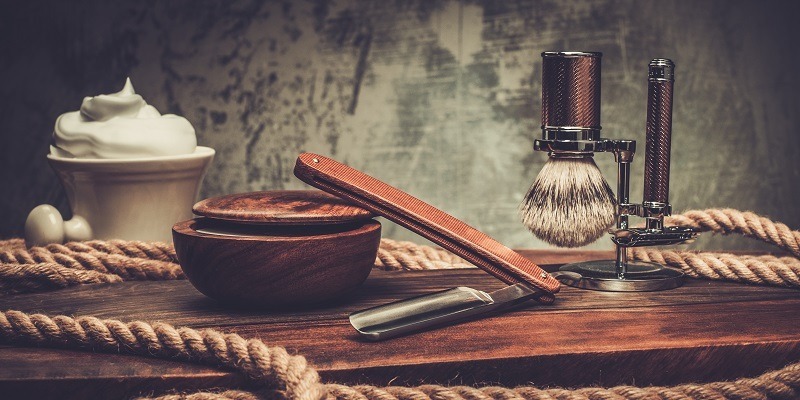 We know that making the decision to switch from your old shaving routine to using a straight razor is a pretty big deal. We obviously intend to tell you about some of your straight razor options out there, but first we want to tell you how to go about selecting one. Straight razors are a different animal than cartridge razors and even double edged razors. They have some great advantages and can last you a long time if you take care of it properly. There is also the added bonus of them being eco friendly, so you can put that green feather in your cap and wear it with pride. When you venture out to purchase your new straight razors we want you to pay close attention to the quality. Go ahead and go to a real deal shaving shop and take a look at all there is to offer. You will be able to see and feel what makes each razor different than the next and even ask for some advice. Don’t worry about being a newbie or about asking silly questions in the shop. Trust us, those guys have seen and heard it all before. Try really hard not to blow up your bank account when you are buying your new straight razor. You don’t want to drop a ton on something that you are new to using and that may not work for you in the long run. You may find that you want something a little different and it would kind of be a bummer if you spend a ton and then end up wanting to try something else. You will want to make sure that you get a straight razor with the right temper and no you do not have to worry about your razor going Hulk on you. Straight razors actually come in soft, medium and hard tempers with each having its own benefits. For example, a hard tempered straight razor will likely keep its edge longer, but a soft tempered one may be easier to sharpen. This again is a good reason to go to a shave shop and talk to one of their experts. Balance is pretty important when buying a straight razor too. You will want to find one that has an equal balance of weight between the handle and the blade. This balance will make a pretty noticeable difference when you are shaving. Lastly, we want you to check out the grind of each straight razor’s blade. You will have the option to select one that has a concave or wedge grind. A razor with a concave grind will give you a good amount of resistance that you can feel with each stroke of the blade. This is a favorite among barbers too. Wedge grind razors are great for dudes that are rocking a Grizzly Adams beard as they are great for skilled shavers. They can be tricky to sharpen, so keep that in mind as well. This is not by any means a comprehensive list. There’ are tons and tons of great razors out there. If you’d like more information, you can check out the lists on Badger & Blade and Straight Razor Place, both of which are excellent resources. However, we did want to give you a few good options. These brands represent different price points, styles and traditions. With any luck, you’ll find something that works for your face, style and experience level. If we missed a straight razor brand you love, let us know in the comments! You can usually recognize a Dovo straight razor at 20 feet. They have a very unique style. And that’s what we love most about them. They’re bold, modern razors that aren’t afraid to push the envelope. For example, check out this Dovo straight razor with a blue blade (seriously). Price. Dovo razors come at lots of different price points. The razors linked to above are about $30, which is very reasonable for anyone looking for a solid straight razor that doesn’t break that bank. However, you can also find plenty of Dovo razors at higher price points – from $100 up into the $200 range. However, some of our favorites were the less fancy, less expensive Dovos (above). Shave. This razor provides an excellent shave for the money. It’s a very light razor with a decent disposable blade (more on this below). It’s very easy to handle, although it may be too light for a heavy beard, which means you may have to trim your stubble before shaving if you have more than a couple days’ worth of growth. Our only complaint was that this particular Dovo razor (the Dovo Shavette) didn’t have a very ergonomic handle, making it less comfortable than some of the other razors we’ve tried. Special features. This is one of the few straight razor brands who makes straight razors with disposable blades. 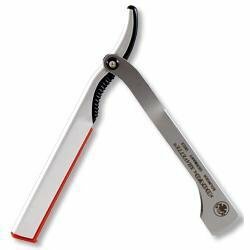 This makes them great for beginners, since you don’t need a hone or a strop to keep your razor sharp. Of course, this also means you’re missing out on a few of the essential (and fun!) parts of the shaving experience. Still, if you’re looking to try straight-razor shaving without investing tons of money, these razors are a really great option. Price. Parker straight razors are very affordable, which is why they made this list, since we’re assuming most people reading it are beginners. And with most of their razors under $30, you can get a really decent razor. Moreover, we’ve found that that their straight razors are of a much more consistently good quality than their safety razors. Shave. The shave was surprisingly good. The razor we tried (the Parker SR1) was moderately heavy with a nice, sharp blade and a handle that fit the curve of our hand. One of the most subtle, but most useful features was that the blade holds its angle, which greatly reduces the chance you’ll nick yourself. Style. These are fairly cool looking razors, usually made out of 100% stainless steel with a traditional look and feel. Ok, now we’re just having fun. This is one of the most badass, crazy, luxurious razors on the market. And, assuming you’ve got the cash to throw around, it’s one of the highest quality razors you can buy. Buying one of these razors is like buying a Mercedes for your face. It’s just a whole different experience. Price. Obviously, these razors are expensive. If you want to go balls-to-the-wall and actually purchase one of these works of art, you’ll be looking at a $200-$300 price tag. However, you’ll be getting a fine piece of craftsmanship that you can probably pass down for generations. Please note, though, that the price listed here does not include all the stuff you’ll need to maintain this razor (if you don’t have it already), like a few hones and strops. Shave. Properly sharpened, almost nothing beats a Thiers-Issard straight razor. These razors feature a subtle curve and near-perfect balance. It really does make the whole business of shaving exceptionally easy. Luxor Straight Razors: The Luxor offers a simple and sleek design. What they also offer is an inexpensive way to get your hands on a solid, reliable razor. Usually, especially with that we have seen with straight razors, are cheap imitation razors that wont last a month. There’s no reason to cut corners with these types of razors especially when you’re able to buy a Luxor. Price. The Luxor is very inexpensive. That’s part of what makes it so appealing. You can get a reliable razor for under $20. It is a precise, stainless steel device that is perfect for those just starting out or those who need a sturdy straight razor for travel. Shave. The blade usually doesn’t come shave ready. It will need to be sharpened and honed, but once it is. It will provide you with an excellent shave for years to come. Style. Luxor sports a full stainless steel look with two protrusions on the handle. It’s made from surgical grade steel, and it has a precise look. There is really no style this razor doesn’t go with. Giesen & Forsthof produce a line called Timor. It’s a unique way to jump into the razor market. They use a dark wood to give it an old school feel, and it looks absolutely handsome. This is really something that your grandfather would have used to shave, and it certainly gives a sense of nostalgia. Even though this razor was made in Germany, it still looks like something that was used in a Clint Eastwood western. Price. The first thing you’ll notice about this razor is the price. She’s expensive. However, you get a lot of bang for your buck here. It comes with a carbon-steel blade, a rose-wood handle, and it’s considered one of the finest straight razors on the market. Shave. This bad boy is sharp. It’s very sharp. It actually comes shave ready, so there is no need to do extra honing if you don’t want to. It will give you a clean, precise shave, and it will leave your skin feeling smooth and exfoliated. Special features. It’s really a fantastic razor. It comes with a handsome black paper box, hollow ground, and “Timor Deluxe” etched in the handle. This razor is all class. Fromm is another example of genuine German engineering. It’s made in Solingen, Germany, and it’s made with the same exceptional quality as the others we have come across. Fromm produces razors with a great modern look. They are constructed well, and they are built to last. Fromm is a company that we don’t discuss often, but they produce a great looking razor with exceptional functionality. Price. The price of Fromms are usually at a perfect balance. Some straight razors can cost several hundred dollars. You can usually find a Fromm for around $60. This stood out to us as not being too cheap, but not expensive either. Shave. The main concern with the Fromm is they don’t come shave ready. This isn’t unusual, some companies prefer to leave it up to the user to sharpen the way they prefer. However, you will need this razor honed. Taking it to the strop right off the bat can seriously damage the blade. You can also have it done professionally. However, once the blade is sharpened properly, it will perform as you would expect. It is a solid blade that gives you a clean, precise shave. For the price and the style, you’ll be happy with the shave. Style. The style of Fromm is very appealing. 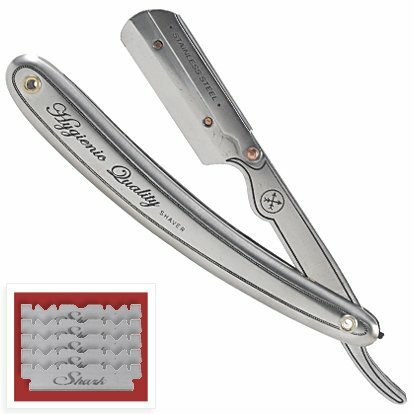 They are known to finish with a well-made, black handle, leaving the razor looking sleek and handsome. Even if you buy this razor and find that straight razor shaving isn’t for you, it will still made a sharp addition to your bathroom counter. Hen & Rooster has been producing exceptional cutlery since 1845. They are an American based company with a very loyal following of wet shavers. One of the first thing you notice when you pick up one a Hen & Rooster straight razor: the weight. There is something reassuring about a straight razor that has a good weight to it. We have waded our way through so many knock-off straight razors that once we pick one up that has a solid weight, we get that warm and fuzzy feeling. So let’s take a closer look. Price. Hen & Rooster razors are moderately priced. As we have stated before, premium straight razors can cost several hundred dollars. The Hen & Rooster collection will usually run the user between $50-$60. This is a balanced, reassuring price that we were happy to pay after using the Hen & Rooster. Shave. The Hen & Rooster produces a good shave, no more, no less. You can call this razor “old reliable,” because that’s what it is going to be for you. It’s just a simple, reliable razor that produces a close shave and gets the job done. Style. The style is hit or miss with some people. This razor has an old school look to it. They haven’t likely changed the style too much since they started producing straight razors in 1845. So if you’re looking for a sleek, modern razor, this isn’t the one for you. If you’re truly trying to capture the nostalgia of the straight razor, give this one a whirl. You wont be disappointed.